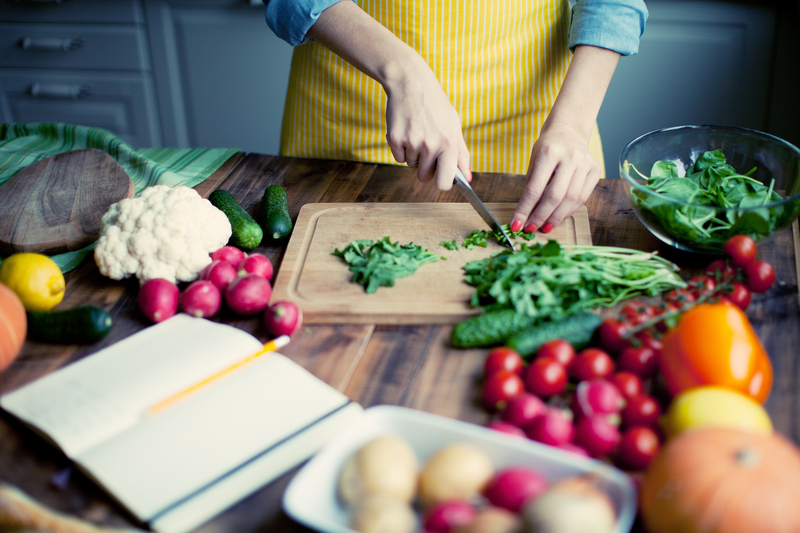 Accredited Practising Dietitian Lauren Atkins shares her tips for success. Most of us know that eating a varied, well-balanced diet is great for our health and helps protect against chronic disease. But it's not always easy to put that knowledge into practice. The Australian Dietary Guidelines can help to guide overall food choices. According to the guidelines, Australians should aim to include a variety of nutritious foods from each food group, including a variety of vegetables, wholegrains, fruit, proteins including lean meat, poultry, eggs, nuts seeds and legumes and dairy. It’s also important to drink plenty of water and limit your intake of foods high in saturated fat, added salt and added sugar that do you more harm than good. Fill your fridge and pantry with the good stuff. When planning for meals, use the quarter, quarter, half model as a guide to building a balanced meal. Try drinking a glass of water before you start eating - research shows we eat about 10 per cent less at meal times if we do. Accredited Practising Dietitians can provide practical, tailored advice based on the latest science, and can help motivate and support you to take charge of what you eat. Visit the ‘Find an APD’ section of the Dietitians Association of Australia website. Lauren is an Accredited Practising Dietitian with a particular interest in oncology and haematology. She graduated with a Bachelor or Nutrition and Dietetics at Monash University with the student prize for Highest Academic Achievement and DAA prize for Excellence in Professional Practice. Lauren went on to complete a Graduate Certificate in Paediatric Nutrition and Dietetics. She has experience in both adult and paediatric nutrition and dietetics, having spent her career working at Peter MacCallum Cancer Centre and The Royal Children’s Hospitals in Melbourne. She has vast experience in managing nutrition-related difficulties in oncology from diagnosis through to survivorship. She has a particular interest in education of individuals and clinicians to improve nutrition and was a lead clinician in the development of the Malnutrition in Cancer eLearning Program for multidisciplinary health professionals. Lauren currently works at Peter MacCallum Cancer Centre.